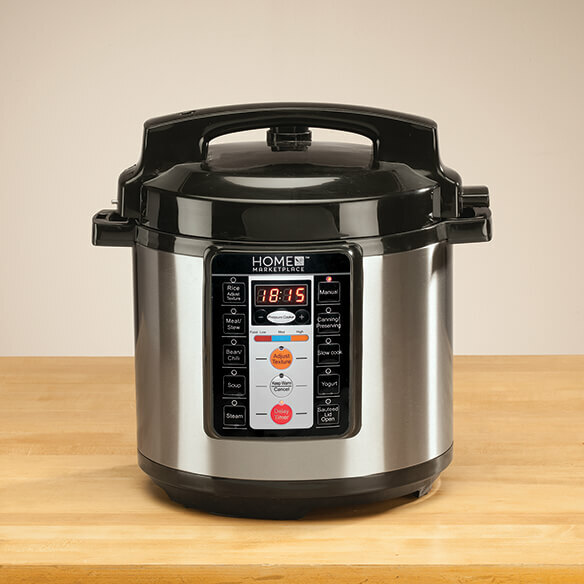 This do-it-all Multi-Function Electric Pressure Cooker by Home Marketplace is a one-pot wonder ... making a variety of healthy foods, quickly and easily! 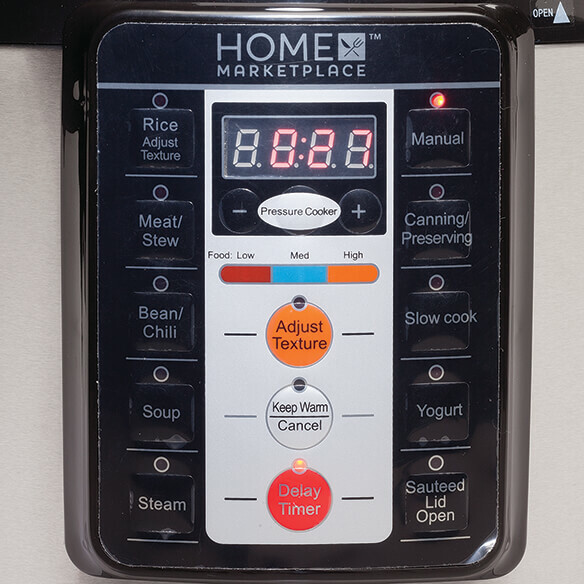 The 7-in-1 multitasker functions as a power pressure cooker, slow cooker, rice cooker, steamer, yogurt maker, sauté pan and food warmer, with digital preset cooking buttons for yogurt, porridge, multigrain, rice, poultry, bean/chili, meat/stew and soup. 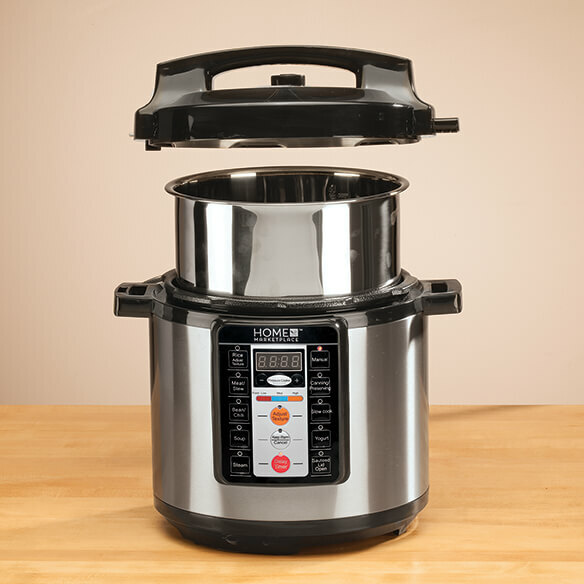 Convenient features include dual pressure settings (high and low), automatic keep warm setting, delay start (up to 24 hours) and adjustable settings for less, normal and more (to achieve desired cooking results). Its removable 6.5-qt. 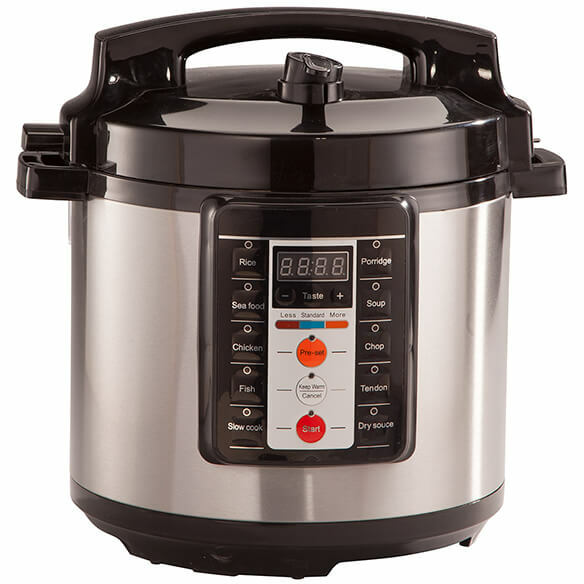 pot is designed in 304 food-grade 18/8 stainless steel for easy cleaning and is dishwasher safe. Includes instructional manual. 1000 watts; UL® listed.